Mangroves are somewhat strange, exotic ecosystems, but they are crucial to our planet. Monitoring mangroves is therefore essential in understanding climate change. Remote sensing is the perfect way not to get stuck in the mud or be eaten by crocodiles. I’ll explain you why. Mangroves also store so-called "blue" carbon from the atmosphere and oceans and so they are an essential piece of the solution to global climate change. 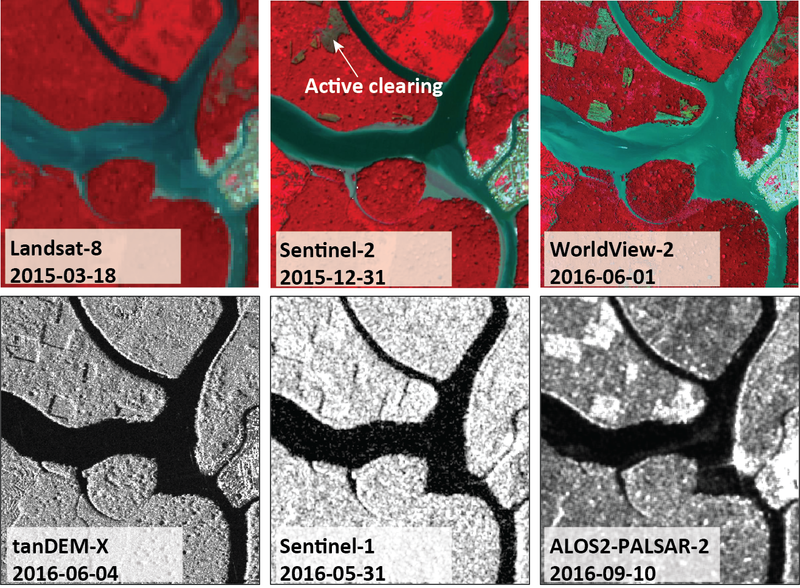 Landsat time series showing deforestation and regeneration in a mangrove forest in Malaysia. But mangroves are also one of the most threatened tropical ecosystems in the world. More than 35% of the world’s mangroves has disappeared over the last years and it is continuing to do so at an alarming rate. It has been shown that mangrove deforestation generates around 10% of CO2 emissions from deforestation globally, although they account for just 0.7% of tropical forest area. So we need to monitor the remaining mangrove forests using reliable and current information on the extent and state of mangroves to ensure their sustainable management. Visit our website to find out more about remote sensing for vegetation, land use and biodiversity.